April can be overwhelming. We get carried away by all the seed racks and bedding plants at the nursery and garden centers. Making a list before going out to shop will help you decide what you’d like to plant this year. Start small, and then you can add other plants in May and June. Why rush? Gardens are meant to be enjoyed, one plant at a time. 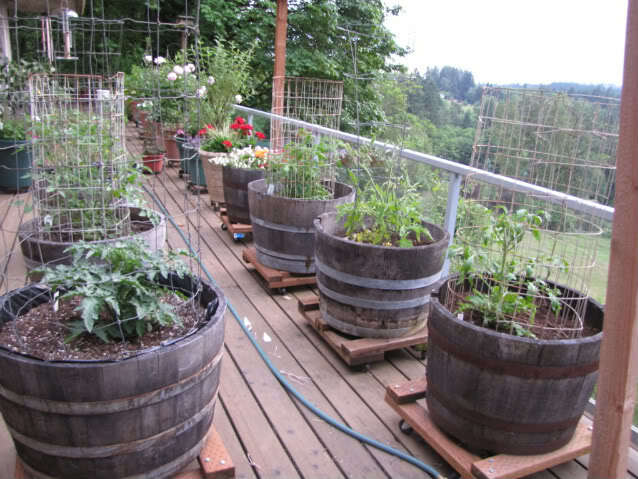 Think containers this spring. Just about any herb or vegetable plant can be grown in containers as long as they’re deep enough. Consider this when planting a kitchen herb garden. You’ll want the herbs close enough so you’ll able to dash out and pick fresh herbs at the last minute for meals you’re planning. Six herbs that do fantastic in containers are basil, dill, parsley, chives, thyme, and mint. One or two per container will last all season. Or you can group them together in one large dish garden. Just make sure you use high-quality potting soil. Herbs will need 4 to 6 hours of sun to produce their best. These herbs also grow very well in the garden and in beds and borders. Observe the sun for a few hours to make sure your herb garden will not be growing in the shade once the trees leaf out. Full sun is best for herbs. Trivia: Black, white, and green teas- Use black tea for an upset stomach and diarrhea. Green tea is used to strengthen the immune system. White tea is made from the youngest leaves of the camellia sinensis plant. White tea is highest in antioxidants and may help lower cholesterol. I had this dish a few weeks ago. I never missed the noodles, as the cook used baking potatoes in place of the noodles. The dish was meatless, as I don’t eat hamburger. 2 large baking potatoes, wash them, but don’t peel. 1 large jar of Ragu sauce, which is gluten free, about 2 cups of Kraft, shredded Mozarella cheese. Yes, the cheese is gluten free as the company uses potato starch instead of flour to prevent the cheese from sticking together in the package. 2 fresh, green zucchini. In a 13x9x2 baking dish, add a thin layer of the sauce. Slice the zucchini and potatoes thinly, place them evenly over the sauce. Pour the rest of the sauce over the vegetables, sprinkle with cheese and bake at 375 for about 45 minutes. It was delicious. We also had a garden salad sprinkled with fresh parsley and chives. No one missed the bread or the pasta.